On Saturday, September 10 from 1-4 p.m. there will be a public picnic at the South Precinct of the Seattle Police Department. This is an opportunity to meet the officers, enjoy food and music, and see some of the equipment used by the police. The South Precinct is located at 3001 South Myrtle Street on South Beacon Hill. The picnic is sponsored by the Seattle Police Foundation. 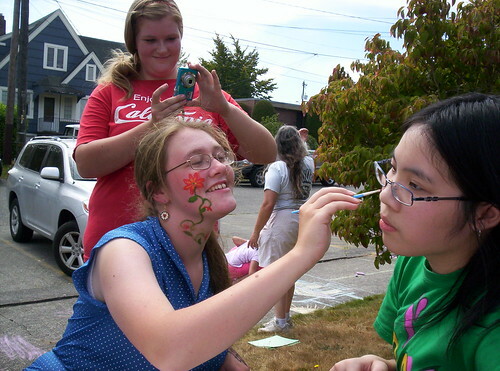 Having fun with face painting at the Beacon Lutheran Church picnic last weekend. Photo by Yuek Hahn in the Beacon Hill Blog photo pool on Flickr.